Tired of creating new forms & Procedures? Is everyone on your team doing things their own way? Are you or your team members struggling to stay organized? Would your team meetings runner smoother if everyone was working with the same documents? Hi, I'm Cyndee. I know what it's like to try to run and organize a women's ministry team. I'm here to help! "Our team is in Trouble!" That was the heart-cry from a leader who contacted me recently. She wanted to know if I had a copy of by-laws or covenants I could share with her. One of the women on their team had stopped responding to texts and emails. She wanted to set some guidelines in place before things got even worse. I dug into my files and sent her two different options and encouraged her to use them as-is or tweak them to make them fit her specific need and situation. Having served on three different women's ministry teams in three different churches (and countless other teams), I have file folders filled with forms, procedures, and worksheets that have been used for assessment, streamlining tasks, and keeping our teams focused on God. Today, I'm sharing all of those tools with you in this e-book! New women's ministry team leaders can use Women's Ministry Binder Essentials to create a solid framework for their women's ministry team. Seasoned leaders can provide structure where it is lacking. Every team can use the assessment tools to evaluate events and activities. Every team member can create a binder that can be passed to the next woman who serves in that role. More than an event planner, more than an organization tool, more than a collection of forms, the 50-page Women's Ministry Binder Essentials e-book contains a wide variety of tools, forms, worksheets, and information. Team Covenants, Mission Statement Worksheet, Sample Job Descriptions, Health Assessment, and more! Publicity Form, Event Pricing Guide, Speaker Questions, Event Planning Timelines, Event Survey, and more! Print and copy the forms the work for you! Need to make some small edits or adjustments? ​Take the text and make your own. You'll save hours of time and energy creating your own tools, forms, and worksheets from scratch. Get yourself and your team organized. Purchase includes copying privileges for the entire team (current and future). Cyndee Ownbey serves as a mentor to thousands of women’s ministry leaders through her website Women’s Ministry Toolbox. 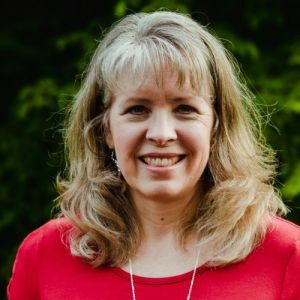 She has written two Bible studies and created a variety of women’s ministry resources, including The Prayer Warrior Boot Camp and the Bible Study Facilitator Training Course.